We all know by now that Julianne Moore had originally been cast as real-life literary forger Lee Israel in the film Can You Ever Forgive Me? She was fired from the project two days before filming was due to begin. 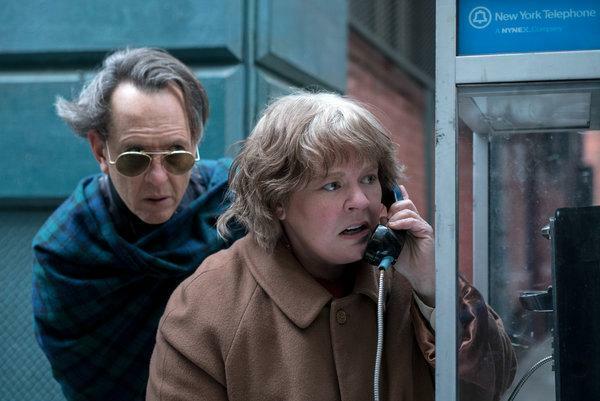 Melissa McCarthy ended up replacing her and earning a well-deserved Oscar nomination. “Julianne Moore wanted to wear a fat suit and a false nose to play Lee Israel and (original director) Nicole Holofcener said ‘you’re not going to do that’,” Grant told an Advertising Week Europe event in central London. Always illuminating to get the back story. Julianne would have been brilliant but damn Melissa really owned this character. As did Richard E. Grant.